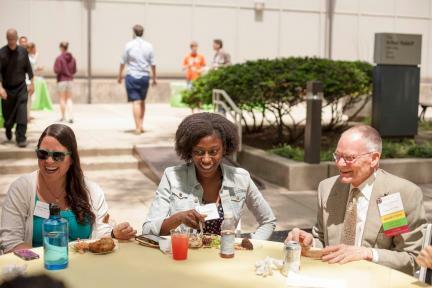 The Medical & Biological Sciences Alumni Association (MBSAA) is made up of degree holders from the Pritzker School of Medicine, the Division of the Biological Sciences, and current residents and faculty of the University of Chicago Medicine. Our mission is to support the University of Chicago by providing activities that engage alumni in the life of the school. Our governing body is the Alumni Senate, which consists of the Alumni Council, past presidents of the MBSAA, and medical school reunion class chairs. The MBSAA helps alumni stay in touch with the University and each other while providing opportunities for social activities, networking, and volunteer services. Review the MBSAA by-laws here. Publications such as Medicine on the Midway. The MBSAA also honors faculty and alumni who have brought distinction to the University of Chicago through the Gold Key and Distinguished Service Awards. Finally, alumni may further their training by attending a CME event.